Although eyes are often the first thing people notice when they meet, they are usually the most neglected feature on your face. People don’t think about their eyes unless they want to add makeup to them. Whether you are watching a movie, driving, working at a computer or reading, it is so easy to take our eyes for granted. We tend to ignore signs when our eyes tell us that they are tired. Tried eye, also commonly known as eyestrain, happens when eyes feel achy, weak, or heavy due to intense use. You may not know this but your eyes are the first to display signs of aging when you hit your 30s. This extremely sensitive and fragile area betrays the slightest fatigue and reveals the passage of time. Since facial skin is very thin and often undergo exertion, it is no surprise that your eyes make you look older than you are. By early 30s, you start seeing dark eye circles, heavy eyebags, and droopy eyelids. Contrary to popular belief, tired-looking eyes can be unattractive and make you look older than you really are. Your eyes need just as much care as your skin does. 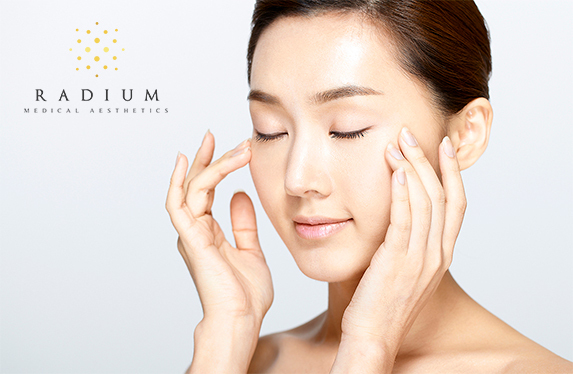 Dr. Siew Tuck Wah, Medical Director of Radium Medical Aesthetics shares with us some eye care tips to restore their youthful appearance and brightness. WHAT IS IT Less than 10 years ago, when people talk about removing eye bags, it meant going under the knife. Fortunately, for most of us today, we no longer need to undergo surgical procedure to remove eye bags. An advanced Korean technique allows the doctor to perform non-surgical eye bag removal conveniently and safely. What the doctor does is to target the excess fats in your eye bags and melt them with micro-insulated needles that deliver radiofrequency waves. The liquified fats will then drain out naturally via your circulatory system. Another benefit of undergoing this non-invasive eye bag removal treatment is that the radiofrequency waves subtly tighten and firm the skin in the under eyes so that the excess skin does not remain after the fats are removed. 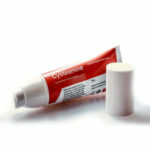 However, additional treatments may be required to further tighten the skin under the eyes to achieve a better outcome. BENEFITS Just after one treatment, you should see the eye bags becoming visibly smaller. Some people may require more than one session to get the result they want. Discuss with your doctor to find out how many sessions you require. WHAT IS IT Eyelids may droop due to age or certain medical conditions. Commonly known as hooded eyes, excess skin folds down from the brow bone to the lash line. Depending on the severity, it may affect your vision, shrinks your eyelids and can make you look drowsy. However for most of us, experiencing droopy eyelids is a natural process of aging. The muscles that lift our eyelids get worn out, causing them to droop over time, giving older people hooded eyes that make them look perpetually tired. Using the same technology as the non-surgical eye bag treatment, it effectively lifts sagging eyelid skin by creating micro-wounds superficially on the eyelids with micro-insulated needles. These special needles deliver precise radiofrequency waves into the eyelids. By doing so, the radiofrequency waves stimulates collagen remodelling and production. BENEFITS Over the next few weeks post-treatment, your eyelids will gradually tighten and lift. Although your eyes may swell slightly around the treatment areas, the downtime is minimal compared to a surgical procedure. Furthermore, this treatment does not leave any scars unlike surgical procedures. Discuss with your doctor how many repeat treatments you need to see long-lasting results. WHAT IS IT We get dark eye circles because there are many capillary vessels around our eyes. Unhealthy lifestyle such as smoking, drinking and keeping late nights may cause poor blood circulation. Pigmentation irregularities and sluggish blood flow around the eyes may result in the formation of dark eye circles. It will look more visible because the skin around our eyes are very thin. The appearance of puffy eyes and dark eye circles can be treated using several ways, which includes laser treatments, dermal fillers and AGNES radiofrequency treatment. 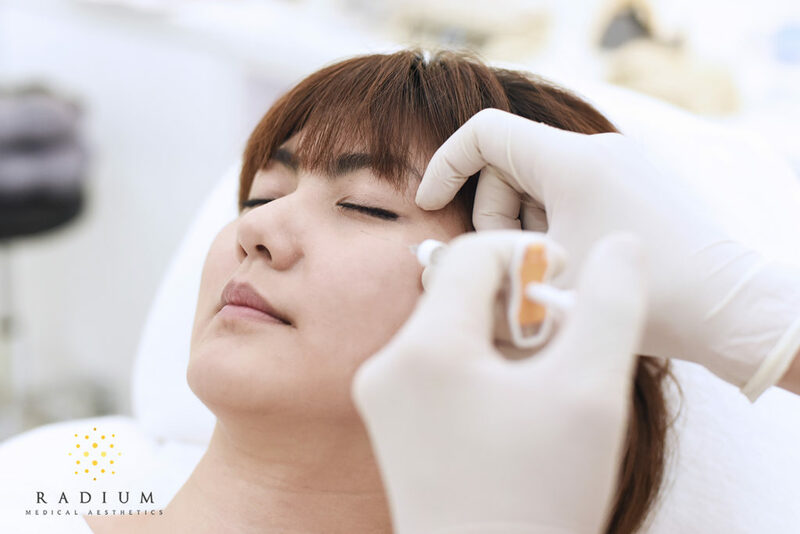 In Radium Medical Aesthetics, Dr. Siew’s personal favourite is to use dermal fillers to address the problem because of its minimal downtime and its wonderful results. Hyaluronic Acid (HA) dermal fillers of varying viscosity are introduced into the under eyes to immediately rejuvenate and reduce the appearance of dark eye circles and puffy eyes. BENEFITS By plumping up the skin and filling the hollow spaces in your under eye, it greatly reduces the dark shadows and provide a more even tone and texture to your face. If done by an experienced injector like Dr. Siew, you can be certain that you are in good hands. The appearance of dark eye circles will be drastically reduced, giving you brighter, more youthful-looking eyes. Contact us if you like to pamper yourself and anti-age your eyes so that they don’t give your real age away! Thanks for these tips. I will surely follow all of them. I wanted to have a younger looking set of eyes.